Good morning! What is keeping you busy this weekend? Do you have a long to-do list or do you plan to relax? I have very faint memories of our weekends being very productive times. I used to look forward to getting projects and things done around here during Saturday and Sunday. Truth be told, we get NOTHING done. It’s like the weekend vanishes and is a whirlwind of sports and commitments. Do you feel the same way? I am certainly not complaining and we love this stage of life but let’s just say my dresser that needs to be painted may not see my bedroom for months. We need more days in the week, don’t you think? All of that aside, grab a warm cup of coffee and join me for a few minutes of Saturday Shopping. I’ve never received so many comments and direct messages about a sweater. And rightly so, it’s a good one. I know you all are so disappointed that it is currently sold out but I am confident they will restock it here. It’s lightweight and incredibly soft. I wear it all the time (size small). 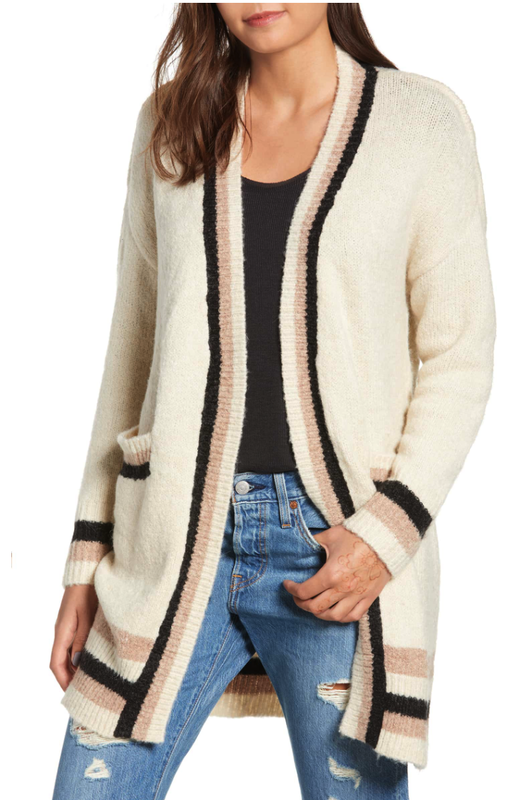 Now that I know what this brand is like, I think I will order this cardigan, too. What I love about tall of these is that they don’t weigh you down. So many cardigans are so heavy. Plus they are soft as pajamas. The name of this cardigan brings back so many memories for me. My dear grandpa had a similar one and I have such vivid memories of him wearing it. What I wouldn’t give to know him as an adult. I am a sucker for all things cable knit. 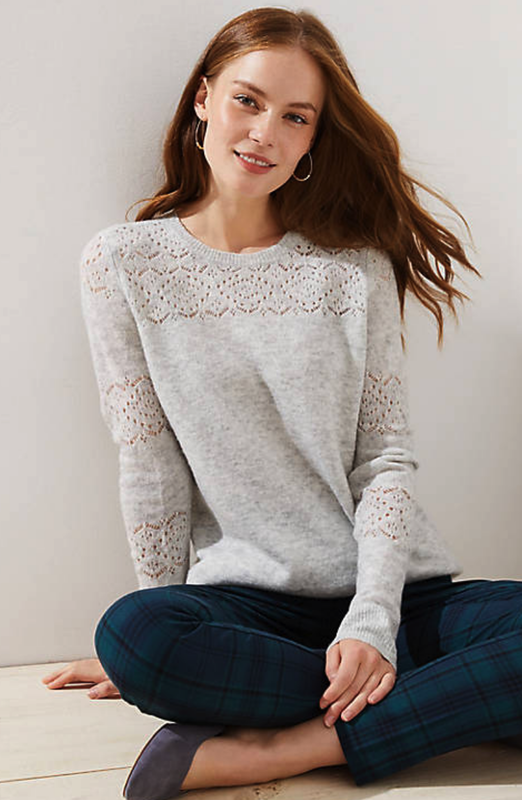 This sweater is so pretty. Perfect for this time of the year. 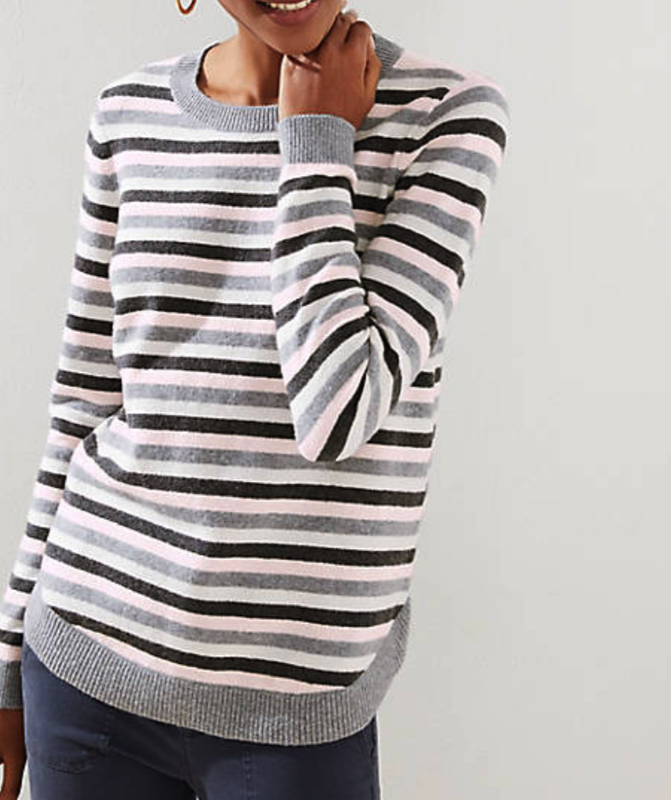 Love me some stripes and this sweater is so pretty. Currently 30% off. 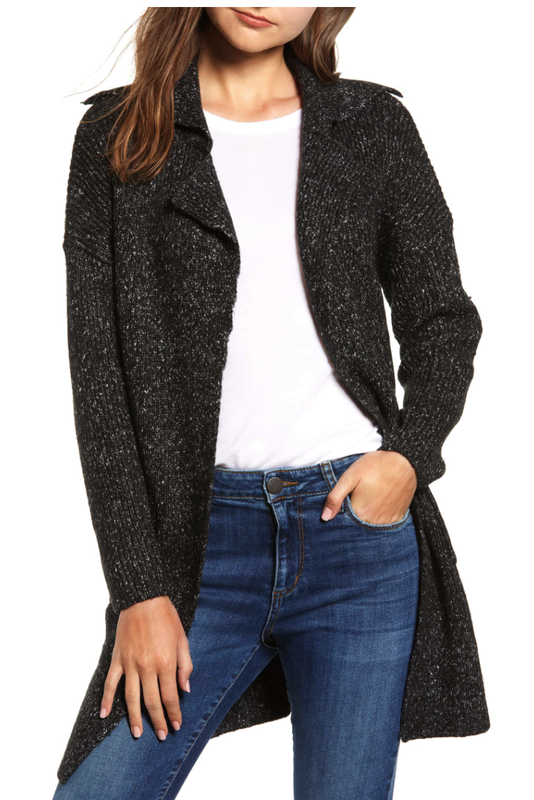 This best-selling sweater is gorgeous. It comes in a few colors and is 30% off. 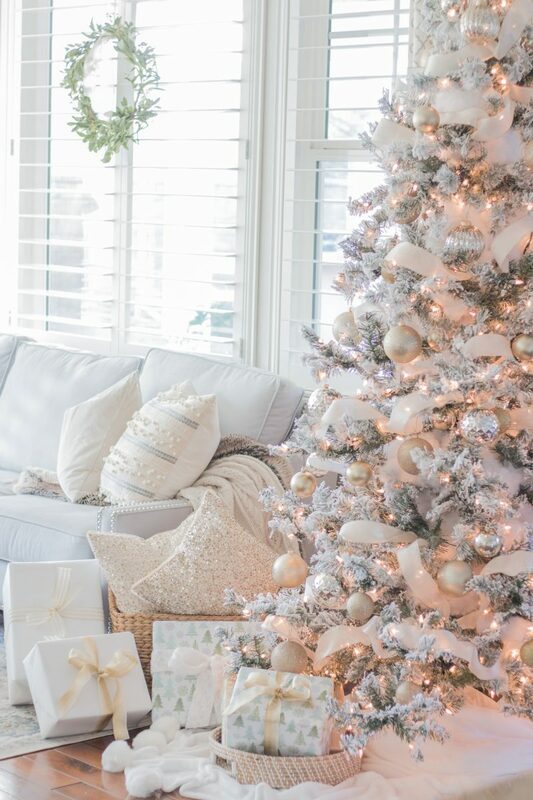 So pretty for the holiday season. 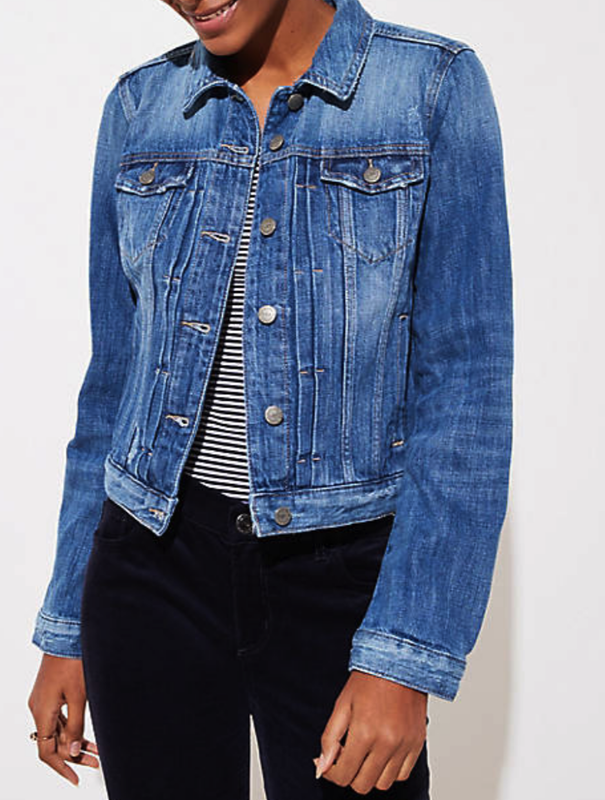 If you don’t have a great denim jacket, this one is an extra 50% off and has received perfect reviews. I wear my denim jacket all the time! Are you ready for this? 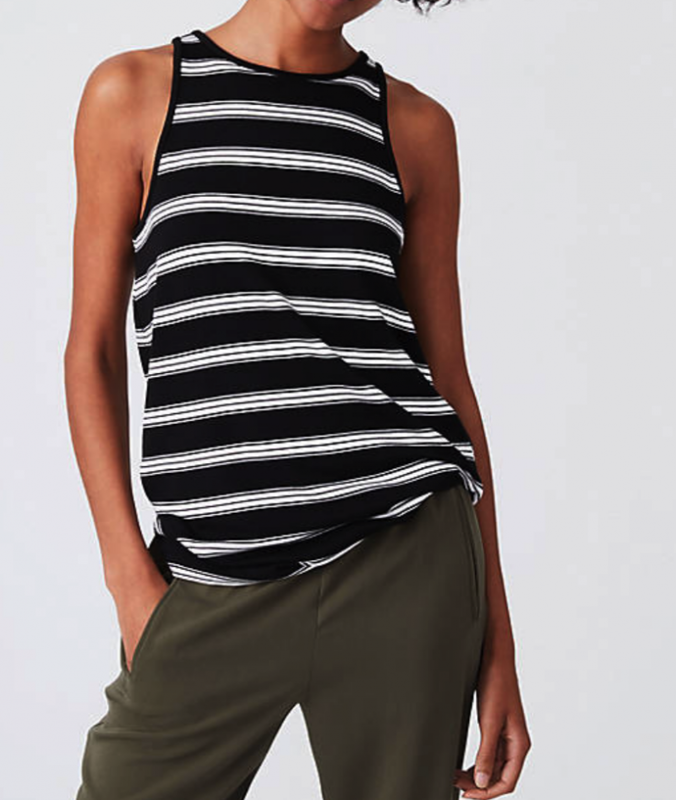 This super soft tank is now $4. Yep! You heard it here first. And it would look adorable under a denim jacket or cardigan. 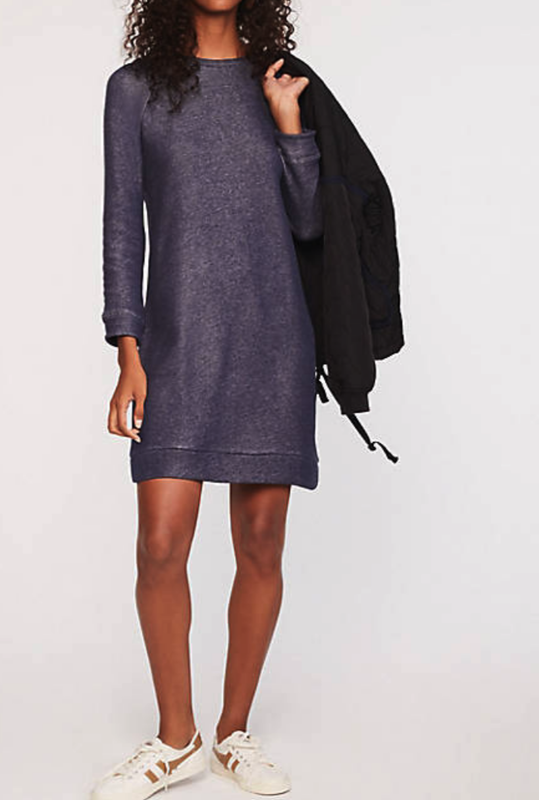 This comfy sweatshirt dress is now only $30. Lou & Grey never disappoints for quality and softness. It’s been a minute since I’ve shared some Anthro finds. One of my all time favorite stores. 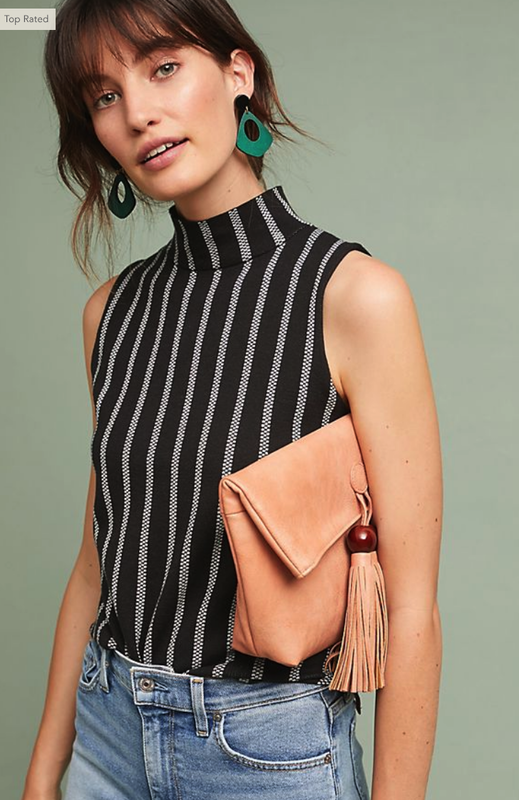 This is a darling top and a great price. This is one of my favorite styles of tops. Looks so chic and elegant. Currently on sale. You can find more sale items (all under $50) here. I want to shout this from the rooftops!!! But first I am buying a couple before they sell out. Barefoot Dreams! You’ve heard of this amazing brand, right? The softest sweater I’ve ever owned in my life. Well I found these blankets for 58% off. What?!!!!! That’s incredible. If you are on top of your game and want to knock out a few Christmas gifts this is an AMAZING way to do it. You honestly can’t go wrong. Such a great deal and they are selling out quickly. We are two months away from Christmas. Can you believe it? That means we are about one month out from decorating. Just FYI our flocked tree is available again. It sold out so quickly last year so if you are on the hunt, it’s a fun one. Is it messy to set up? Yes! But so worth it to me. 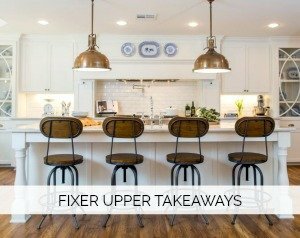 You can see tips on trimming your tree here. 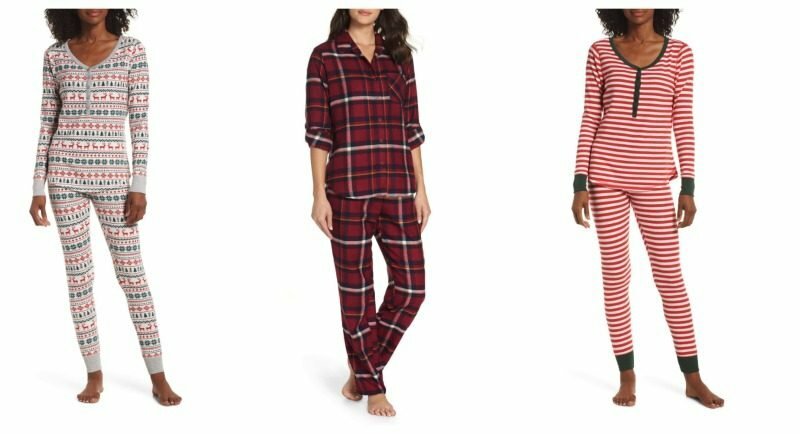 What I also love about this time of the year are the darling jammies. So many cute ones are now available. 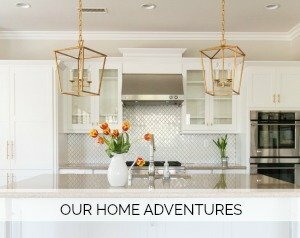 Just a heads up that Pottery Barn: 25% off all regular priced orders + free shipping. Enjoy the weekend, all. Maybe you will be more productive than us! I’ll see you back here for our Monday wrap-up. I just picked up two of those blankets! Perfect gifts! 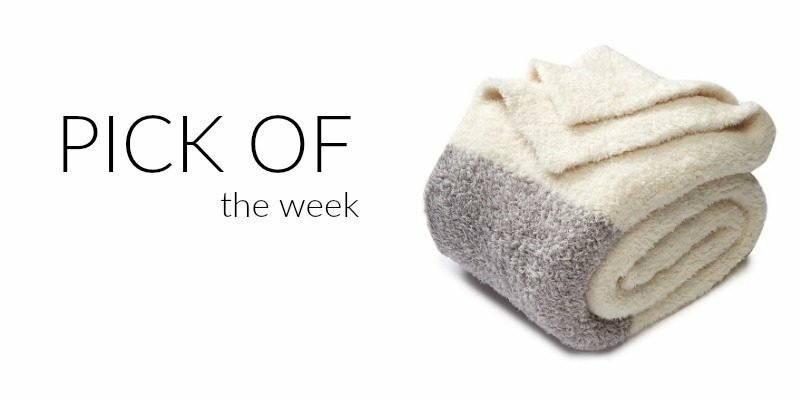 I just ordered the blanket… thanks for the tip!!!! Hi! 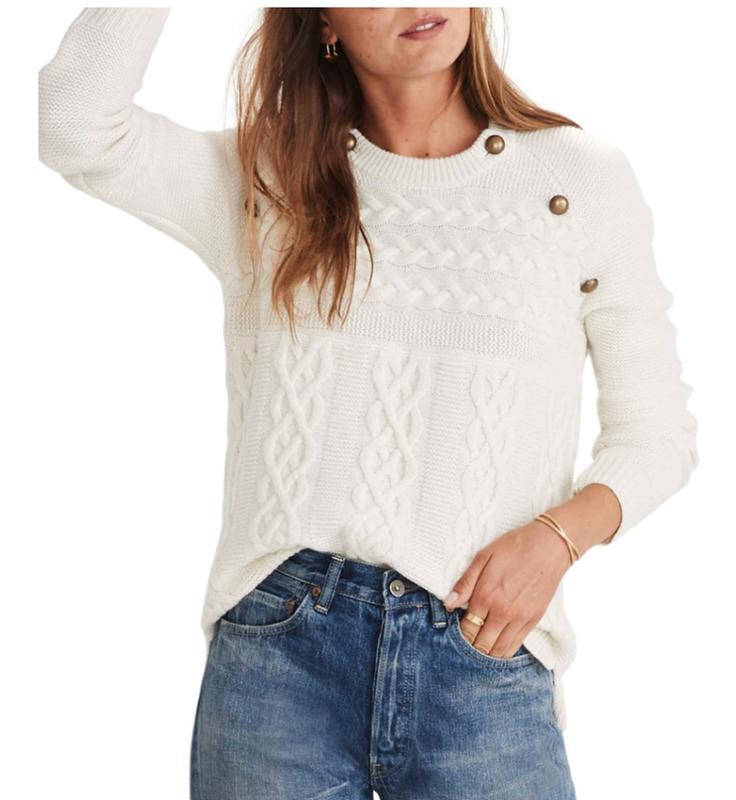 Don’t think the gorgeous ivory cable knit sweater with the brass buttons has the right link. Mind updating? Thank you!